This retrospective exhibition features the work of Eugene Richards (American, born 1944), one of the most respected documentary photographers working today. 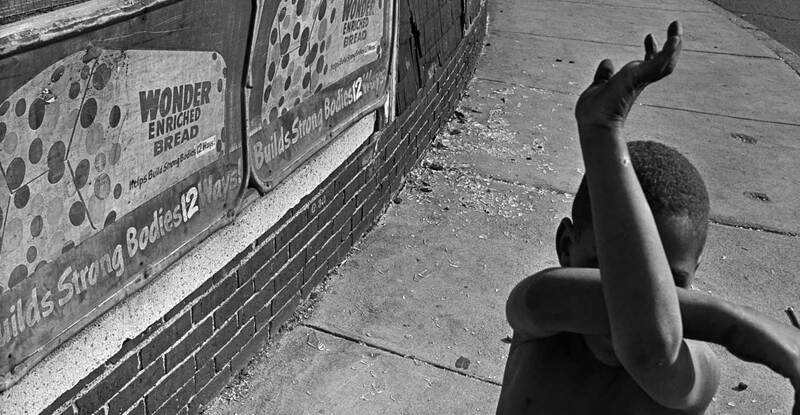 For almost 50 years, working in the tradition of W. Eugene Smith and Robert Frank, Richards has focused on the diverse, often complex lives of Americans, as well as the ongoing struggles of the world’s poor. Richards’s style is unflinching, yet poetic. He brings the lives of ordinary people into focus and tells their stories through his powerful photographs. His projects have explored such complicated terrain as poverty, emergency medicine, drug addiction, cancer, mental illness, the impact of war on veterans and their families, caring for the elderly, and the emptying of the American prairie. Ultimately, Richards’s socially-committed photographs illuminate personal struggles that might otherwise go unnoticed, with the hope that his art might spark conversations about how better to care for one another as human beings. This exhibition is co-organized by The Nelson-Atkins Museum of Art and the George Eastman Museum, Rochester, New York. In Kansas City, the exhibition is supported by the Hall Family Foundation and the Campbell-Calvin Fund. Eugene Richards, American (b. 1944). Wonder Bread, Dorchester, Massachusetts, 1975. Gelatin silver print (printed 2016), 16 x 20 inches. Collection of Eugene Richards. © Eugene Richards. Eugene Richards, American (b. 1944). 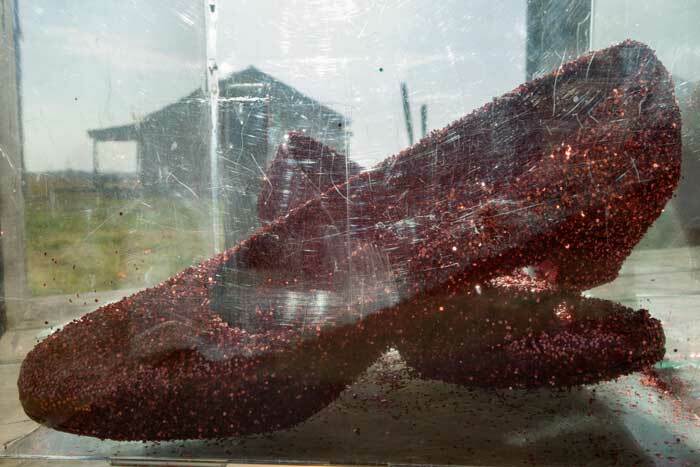 Dorothy’s ruby slippers, Lehi, Arkansas, 2010. Chromogenic print, 27 3/4 x 40 inches. Collection of Eugene Richards. © Eugene Richards. During your visit, use the Detour app to hear insights from Richards, the curator, and community members with expertise and experience in the exhibition’s subjects. Don’t have an iPhone or iPod Touch? Forgot headphones? Free checkout devices and complimentary earbuds are available at the Info Desk. Educator Resource For educators planning to bring students to view Eugene Richards: The Run-On of Time, this guide provides background information, sample discussion questions, and pre- and post-visit activity suggestions to enhance your visit. The Spencer Art Reference Library has compiled a bibliography of titles that explore Richards’ career’s work through individual photobooks as well as the retrospective exhibition catalog, Eugene Richards: The Run-On of Time. For more research guides, visit the Spencer Art Reference Library in the Bloch Building or view them online. Join the photographer for a screening of a selection of his short, documentary films. A Q&A with Richards will follow. Eugene Richards will speak about his career and the powerful works in this retrospective exhibition. Hear from the Nelson-Atkins team who shaped the exhibition. Moderated by Suzetta Parks, a participant of the community input group for the exhibition. Join curator April M. Watson for a thoughtful conversation about works in the exhibition. Compare and contrast the effects and aftermath of the 1980s War on Drugs—poignantly captured in Eugene Richards’s photographs— with films about today’s opioid and prescription drug crisis.